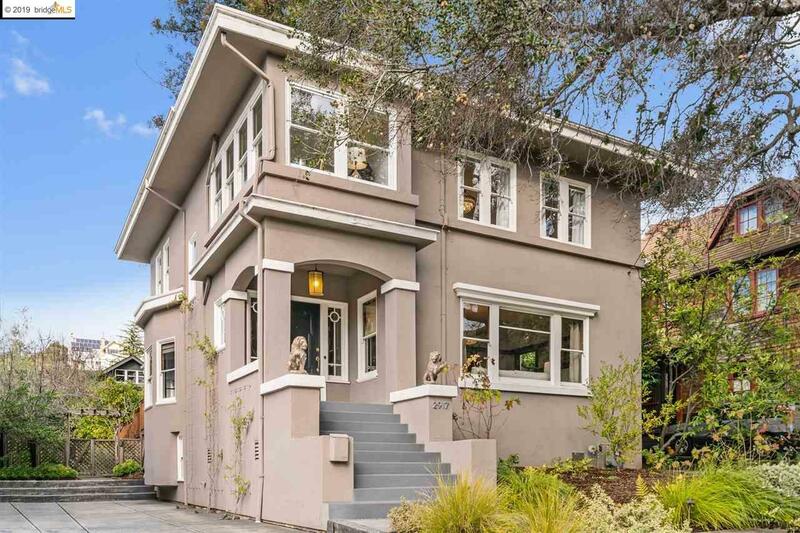 This elegant home is a neighborhood standout with its stately, traditional exterior, beautifully manicured grounds situated in the prized Elmwood neighborhood just steps from the iconic Claremont Hotel! Grand rooms adorned with classic craftsman woodwork, built-ins, period details, and hardwood floors throughout. Featuring three large bedrooms, two and a half baths plus a generous-sized family room which can be used as a fourth bedroom. The delightful farmhouse-inspired kitchen is outfitted with an authentic Wedgewood stove and French doors with direct access to the stunning gardens and expansive redwood deck. Not to be missed is the extended level driveway which accommodates multiple cars for convenience. Desirable Claremont/Elmwood neighborhood with great schools & near U.C. Berkeley, College/Telegraph/Shattuck Avenue shops & restaurants, regional parks, and daily life conveniences. Just mins from hwys 13 and 24 and a short distance from both Ashby and Rockridge BART stations.